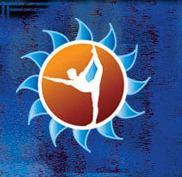 Start taking classes at Surya Yoga Academy and other studios! Surya Yoga offers a variety of heated and unheated Yoga classes. You will receive personal attention from their amazing teachers, who can help you achieve your personal goals. You'll need to bring or rent a mat, water and a towel (a complimentary towel is provided, and additional available for rent). Please arrive on time. Doors will close at start of class and you will not be permitted! Haven’t been to a class in a year, so was in rough shape. Kate was amazing and really made me feel comfortable and confident. Class was challenging for all levels (different variations offered throughout) and really appreciated the attention to details and form. Looking forward to more classes! Great class. Not much time for water or toweling off but a fantastic workout. Virna was great She explained what a posture is good for health wise and overall was very thorough. Great class. Loved the use of weights. Megan was a great instructor. Awesome!! Would love a sculpt option on the weekend!